"Don't mind me. 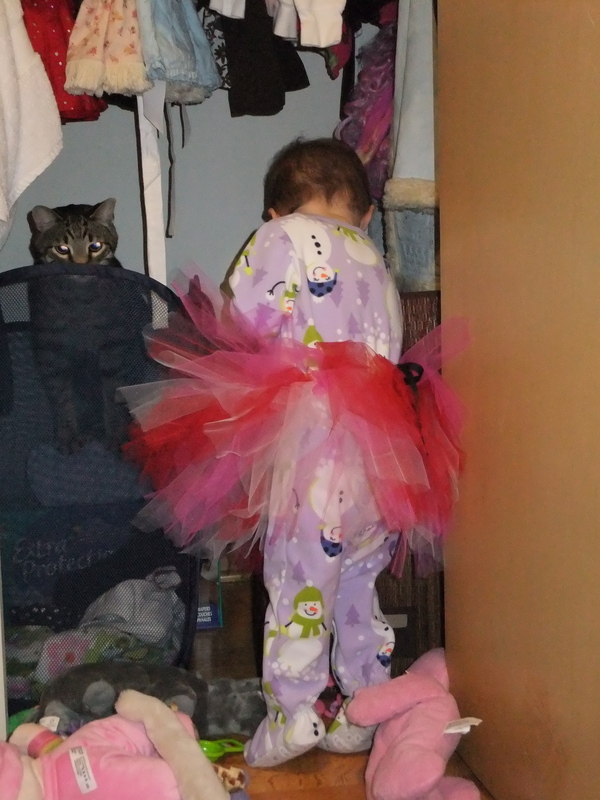 Just looking for my other tutu." the unseasonably (insanely) nice weather or what, but we’re just in a really fun place. Granted this fun place includes a cold and involved some puking Sunday night, but generally things are good. Last weekend we went to Wisconsin Dells for a weekend with friends. There were six kids and six adults and it was a super fun time. We visited a giant indoor water park and Boopsie showed her wild side — basically no fear in that girl. She enjoyed water slides, the lazy river and got into the habit of running straight into oncoming waves in the wave pool. Nut! First taste of nachos (with the crappy cheese sauce) – big hit. HUGE. It was pretty much kid nirvana. "I pity the fool who won't play Peek-a-boo!" Other things are going well, too. Boopsie’s acquiring more and more words (even if no one else knows what she’s saying), sleeping a little better and loves coloring. I loved coloring as a kid (hell, I still do), so this makes me giddy. usband and two boys. It was last minute and laid-back and a splendid way to kick off the evening. Boopsie did pretty well sharing everything but her Daddy-o. When one of the boys was sitting on Daddy-o’s lap she shouted “No! 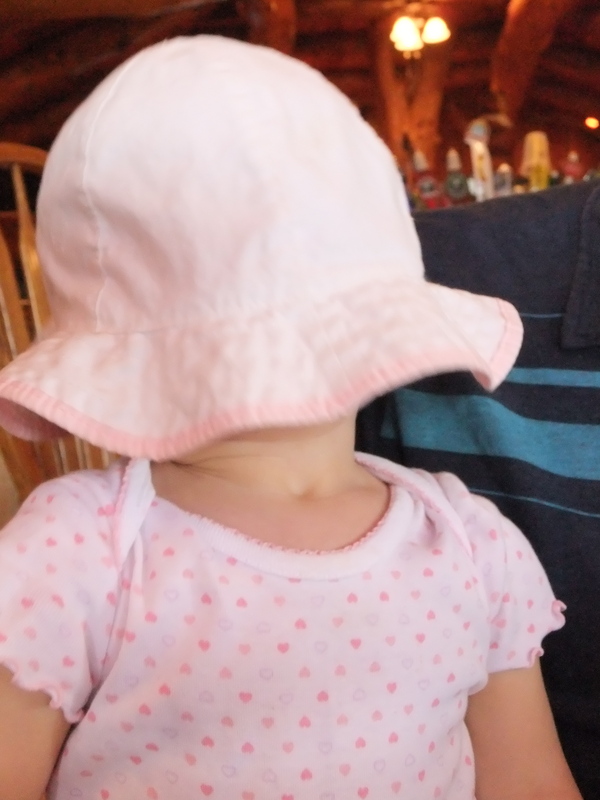 No!” repeatedly from her high chair. Endearing, right? So now that I’ve laid out some of the many reasons things feel like they’re clicking we’re probably inviting in drama. I sure hope not, because this is fun.